Edmonton, St. Albert, Sherwood Park, Spruce Grove, Stony Plain Ft. Saskatchewan & surrounding areas. As home inspectors in Edmonton and the surrounding areas we provide top quality inspection services for home buyers, home sellers, and even real estate agents and other professionals. We have been providing professional home inspections in a knowledgeable and friendly manner in the Edmonton and surrounding areas since 1995. Historic and older homes may have different areas of concern than new construction, and our customers trust us because of the extensive knowledge and experience we bring to every site. We are well known and respected in the home inspection industry, and by the local community. We have completed more than 30,000 home inspections, and we work hard to earn the trust and respect of our customers and others in the industry. All of our home inspectors have background in construction-related fields before joining our team – giving them a competitive advantage against other inspectors for they can perform a thorough and complete inspection without missing anything. The trust that our customers place in our knowledge and inspection abilities is something that we value highly, and every home inspection is performed by a professional who is qualified, professional, friendly, knowledgeable, and courteous. Customer questions and participation is highly encouraged, so that the home owner and home buyer can get peace of mind about the true home condition. Choose your added services that you want. All homes are different and you can choose what is best for your new home. When we conduct a home inspection the process will usually take two or three hours to complete. Our customers receive a complete report that comes with photos of any problems. Any questions are promptly addressed, and this holds true even after the inspection is finished and the inspector has left the site. 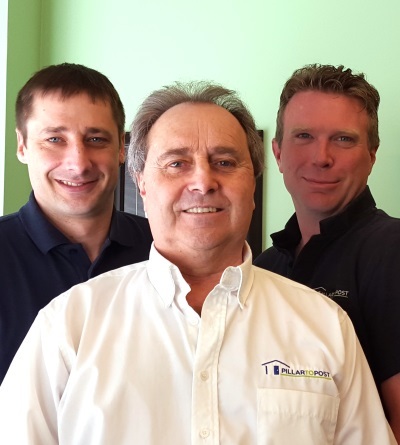 As the team of home inspectors for the Edmonton area we have a number of industry certifications and achievements. In addition to the industry accomplishments and certifications we are also active in the local community. Charitable donations are provided for deserving causes, and Michel stays up to date on the community needs and events. With more than 30,000 home inspections performed we have received a large amount of customer feedback concerning our services. Some of the things that customers have appreciated are the professionalism that is offered. All of our home inspectors have outgoing personalities and enjoy what they do, which makes them friendly and eager to answer questions and educate the customer. The thoroughness of the home inspections that we conduct are another popular feature with all of our customers. A number of previous customers have commented on the details included in the report, and the pictures make it easy for the customer to view any areas of concern without experiencing any undue alarm. Our clients are encouraged to take part in the entire inspection process from start to finish, and to ask any questions or voice any concerns at any time. The information provided and the flexibility of schedule is also reasons why customers choose us for all of their home inspection needs.